In all honesty we haven’t been THAT impressed with Joe Gomez this season. He’s been good in patches, but predominantly looked like a youngster, with fans desperate for Nathaniel Clyne to return to fitness and take up the right-back spot. 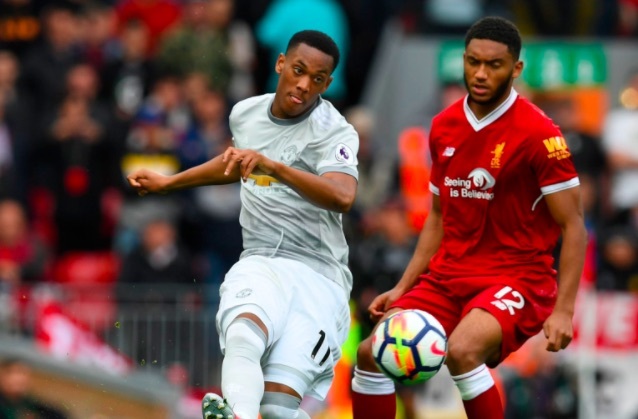 But on the evidence of today, he might have a competition on his hands from the 20-year-old, who put in his best performance in a Liverpool shirt against Manchester United. These stats, in short, are absolutely superb – especially considering he was up against first Anthony Martial and then Marcus Rashford. Many rate Trent Alexander-Arnold as the most impressive attacking fullback in that position, but Gomez made some impressive bursts forwards and passed exceptionally, too. Hopefully the performance and the Man of the Match will boost his confidence. We actually expect Alexander-Arnold to get a chance midweek against Maribor, with Gomez returning for the Premier League tie with Spurs. Both are tremendous talents though and we’re delighted their contracted to Liverpool.